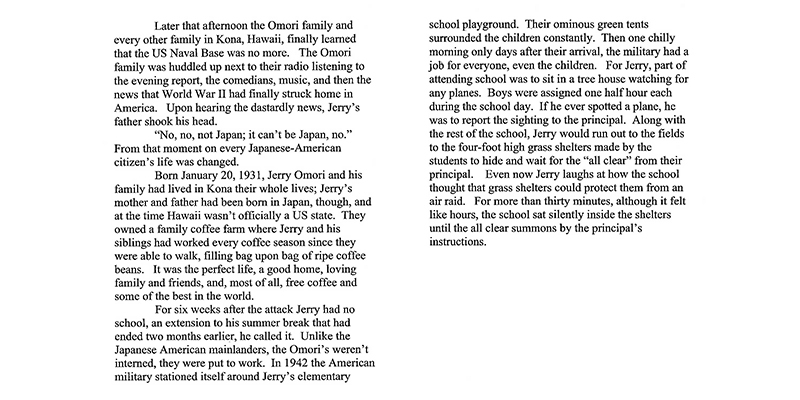 Seventh grade students at the Harmon Middle School in Aurora, Ohio created booklets as part of a case study of Japanese internment within a broader study of World War II. 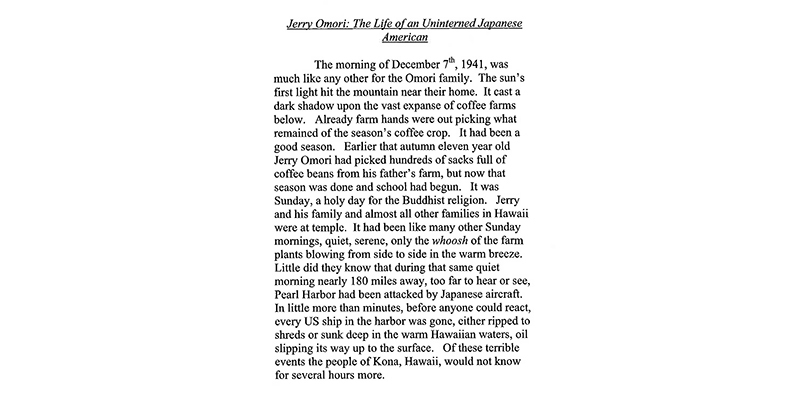 Students interviewed Japanese Americans who had been in internment camps and created short biographies based on the interviews. Each booklet was 4.5 by 5.5 inches and was produced in-house, using center-stapling. I can write narrative texts about real or imagined experiences using relevant details and event sequences that make sense. With support from peers and adults, I can use a writing process to ensure that purpose and audience have been addressed.